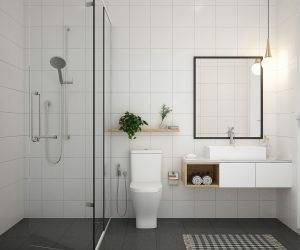 Natural woods, open spaces, geometric shapes, these are all parts of modern Scandi design that can make a bathroom really stand out from the ordinary. 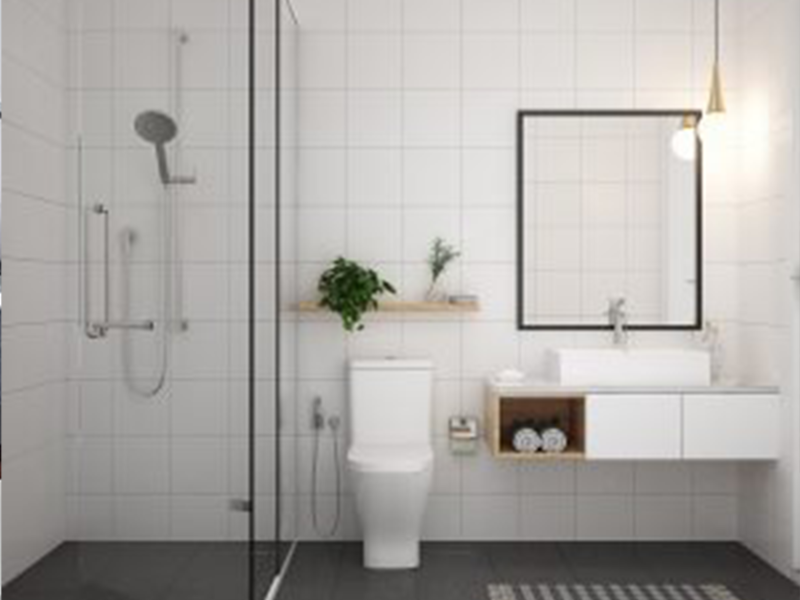 The following are examples of bathrooms that really showcase different aspects of Scandinavian design. The wood and glasswork in this bathroom really make it feel like you are in a spa. While thinking about toilets is not the most inspiring design, it is necessary for private bathrooms because space demands that all your privy activities are done in the same room. This bathroom took the toilet into consideration in creating a glass enclosure that still feels a part of the room, is affordable to install, and keeps unwanted smells from the bath and shower. Technically a shower, this bathroom really showcases hot to get the best use out of tight spaces. Although intimate in space, it feels like a place to really wind down after a long day’s work or gain inspiration in the morning under the oversize shower head. 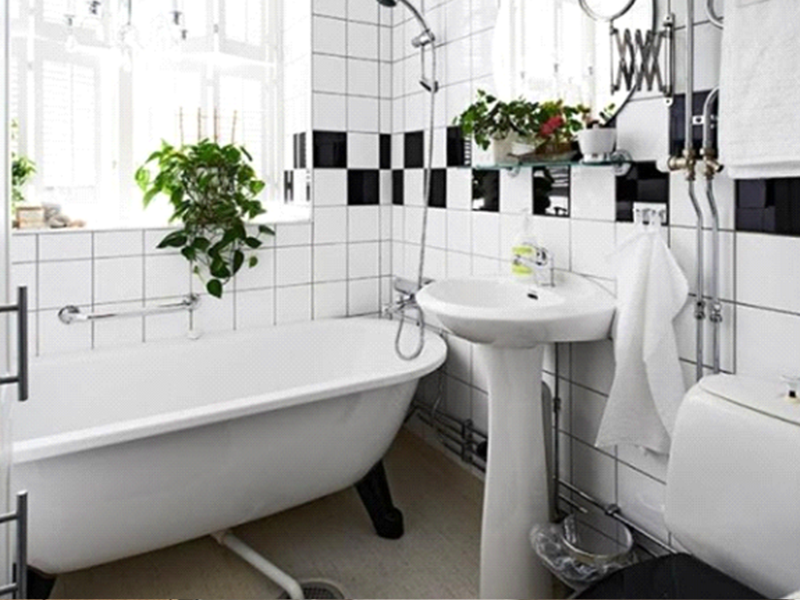 Traditional black and white square tile makes this bathroom feel like a cross between Scandi and mid-century modern design. The hot water piping to the towel rack is an ingenious way to ensure you have a warm towel ready after stepping out of the bath or shower. This bathroom is at once inspiring and a little overwhelming. 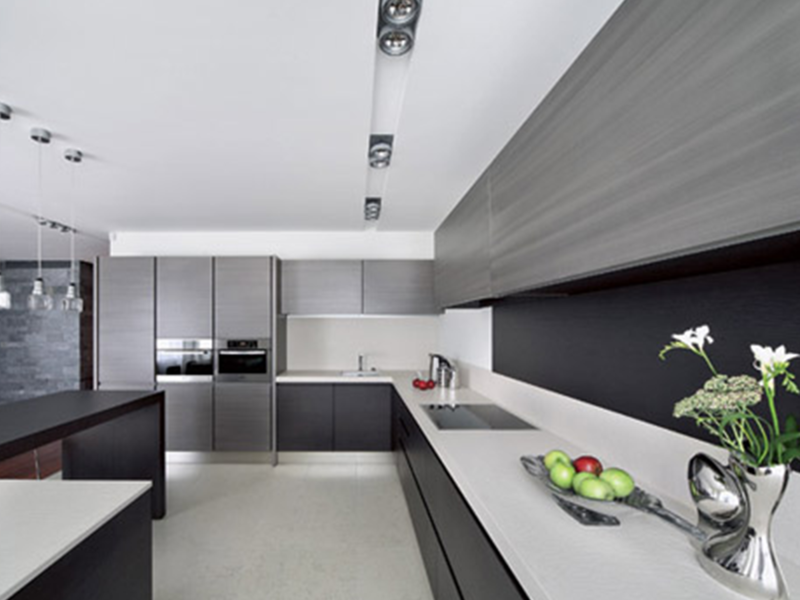 The minimal colour-scheme on the walls contrasts nicely with the bold fittings in both black and copper. The wood shelf under the sink and the wood stool by the bath add a nice texture and the large bath is a place you could easily lose yourself in. 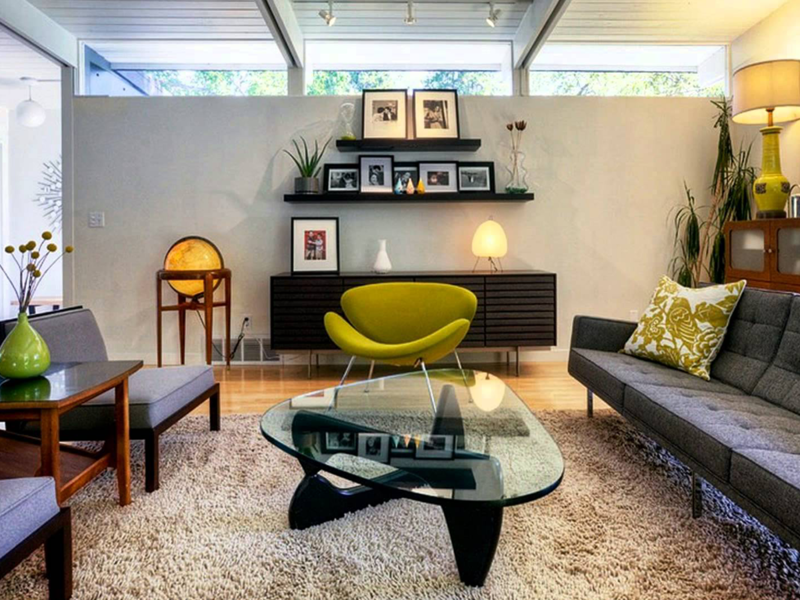 Mid-century modern design and furniture is one of our favourite objects of discussion at North Hem, and this post looks at different ways an interior designer can use mid-century modern principles and products within a home. 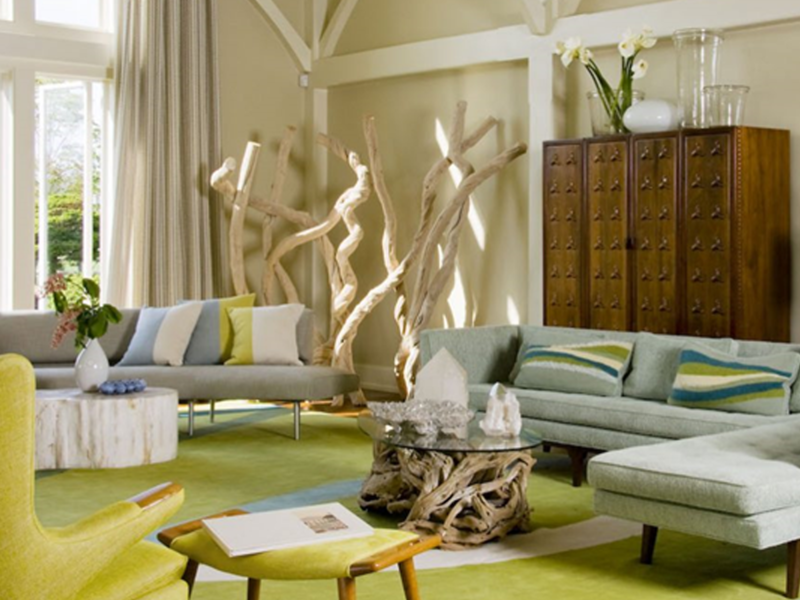 This living room shows the delightful colours and minimalism that can be found in mid-century modern design. While a Scandi modern look has neutral tones and sedate colours, mid-century modern is not afraid to put a lime green chair in the middle of the room, as long as the rest of the décor is more sedate and minimalist. Good mid-century modern design incorporates other design elements into a room, seeking to craft style and comfort into a positive experience. In mid-century furniture, comfort is a key part of the most important utilitarian pieces in a room. You wont find rock hard couches in a mid-century living room. Any place a bottom sits is a place where comfort reigns supreme. Throughout the rest of the room, the open spaces, unique materials, and fresh tones of mid-century design provide the aesthetic style to accompany the mid-century modern feel. Msid-century modern and modern Scandinavian often get confused for each other, but there are differences between them, both subtle and significant differences. Subtle: Scandi uses more woods in furniture and less cozy fabrics. Large difference: Scandi design focuses on neutral colours and natural wood tones over the modern plastics and vibrant colours of mid-century modern. But, both Asian design and Scandi design work well in fusion with mid-century modern. Because of the utilitarian nature of much mid-century modern furniture, it is easy to use residential furniture in a commercial space and vice-versa. The simple and elegant shapes of mid-century modern design work well as set pieces in an office, coworking space, or waiting area. On the other hand, the open layouts of commercial spaces work well in a home to incorporate mid-century modern principles. 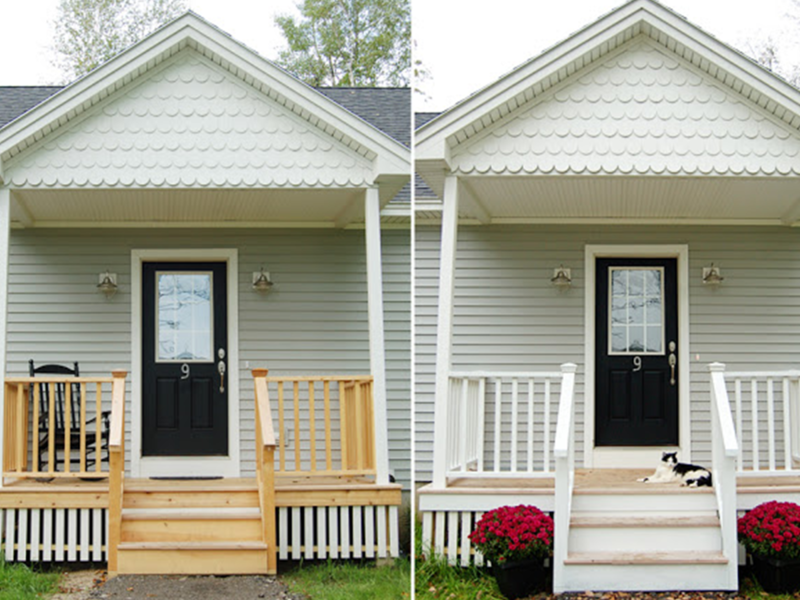 Autumn is a great time of year for external decorating. Cooler temperatures make for comfortable days in the open, ripe produce provides a great backdrop for decorating, and there are still enough nice days in the week to plan time outside. 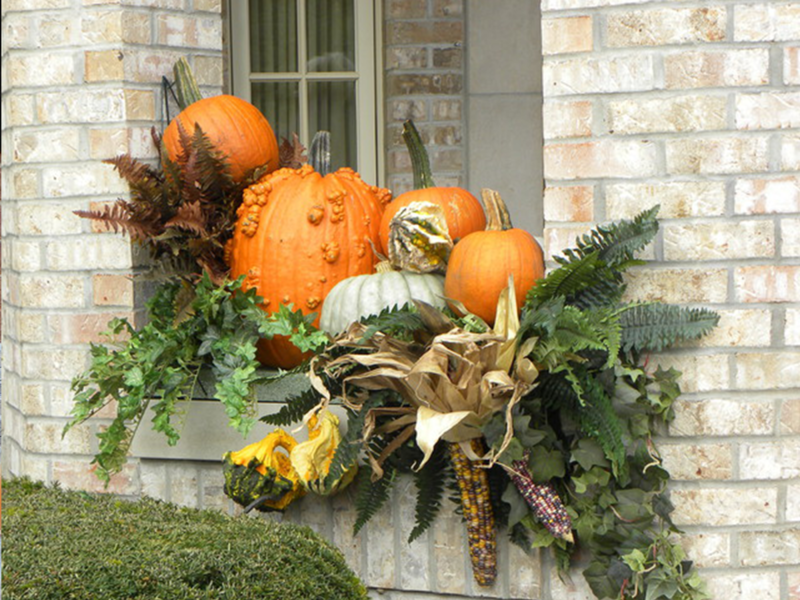 Colour your porches, windows, doors, and other outside areas with pumpkins, decorative corn, and tree foliage. These colours will define how your house and landscaping looks for autumn. Whether using real foliage or themed prints on throw pillows and blankets, a tasteful autumn colourful design will both increase the beauty of your home’s exterior without taking away from the look because of too much clutter. Plan some great outside festivities for autumn. 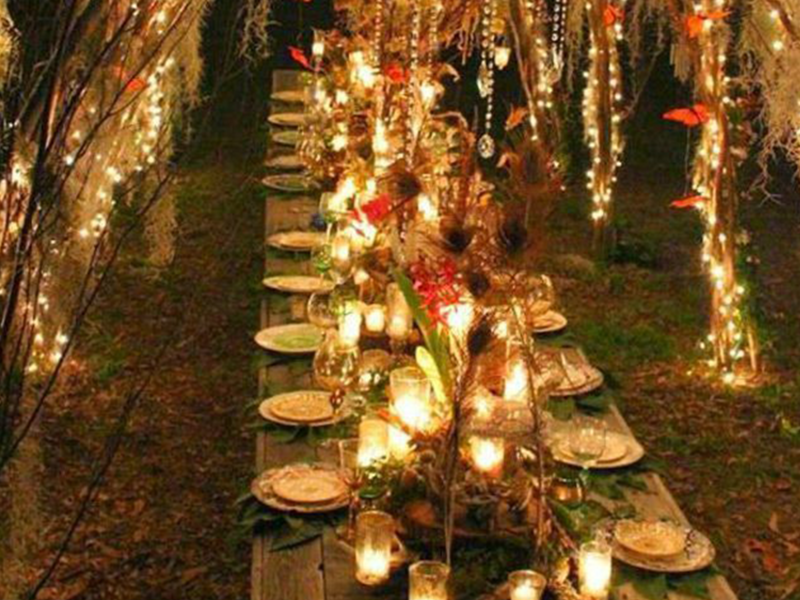 As days get shorter but there are still comfortable days for dining outside, use light strings to create a beautiful and intimate outdoor dining experience. Create a dining room with boards and candles on the table, or spend time outside around a fireplace. Paint the home, use autumn produce to introduce colour, create intimate and beautiful outdoor experiences. 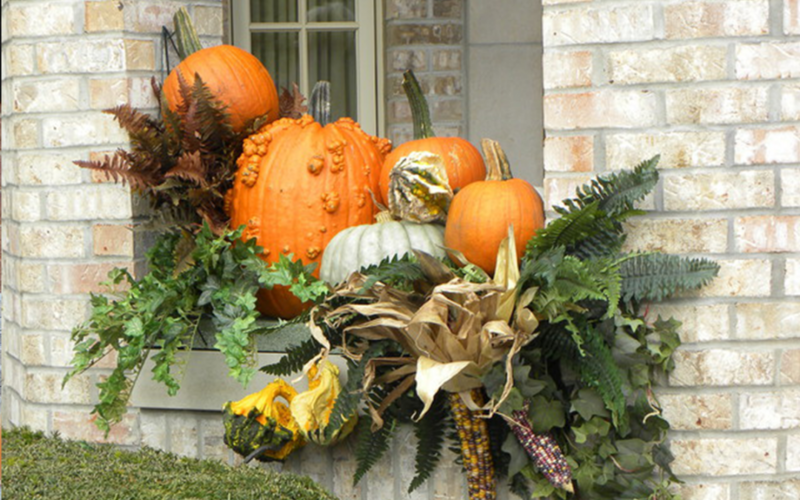 What are your favorite autumn exterior decorating tips? 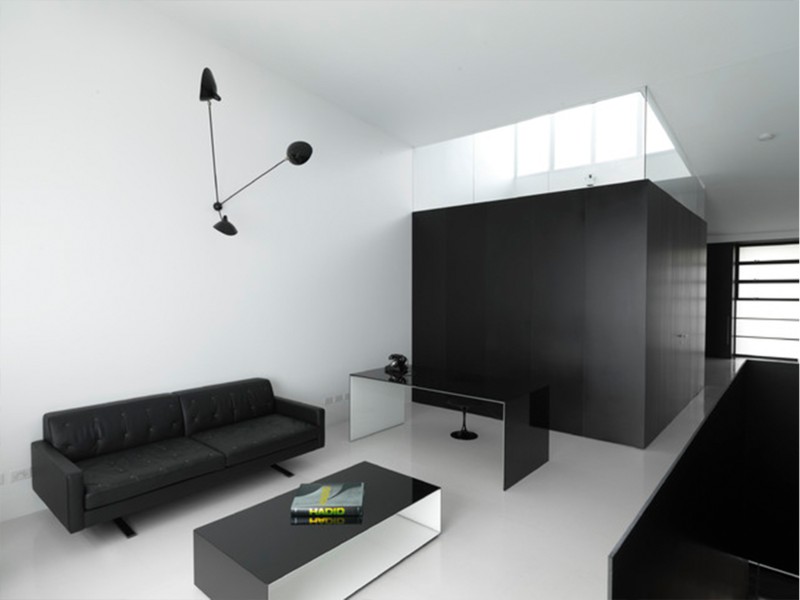 Minimalism is not so much design as it is principle, or philosophy. Have what you use and need, and free yourself and your home from extraneous pieces. The space can be energizing and uplifting. Here are five rooms where minimalism is embraced and practiced. 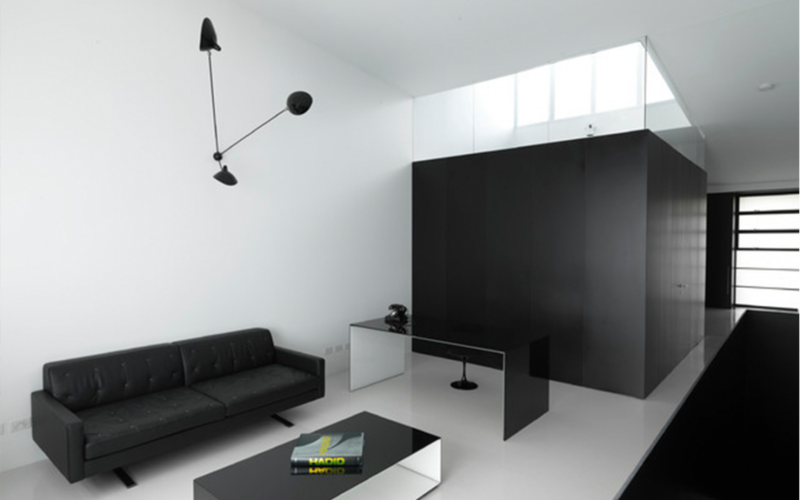 This sleek, modern room is done in a monochromatic palette. The table and desk almost seem to be floating, thanks to their open, airy design, and the couch is made to match. Superfluous furniture and decor are absent; the unusual sconce doubles as art in the space, and a single book and retro phone provide the rest. Minimalism doesn’t mean stark or empty. This welcoming bedroom is everything you need, and nothing you don’t. The bed isn’t buried in pillows but still looks like luxury. 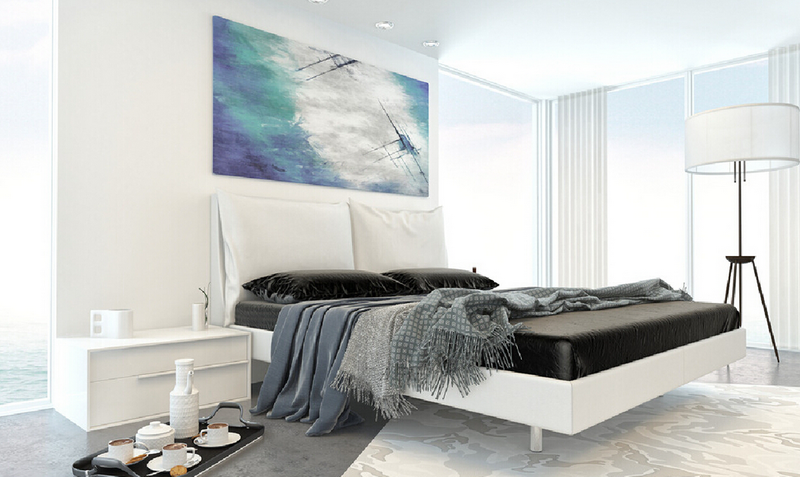 White furniture with clean lines and a stylish lamp don’t compete with the cool colors of the painting. Comfort, but not clutter, and plenty of space to enjoy some refreshments. 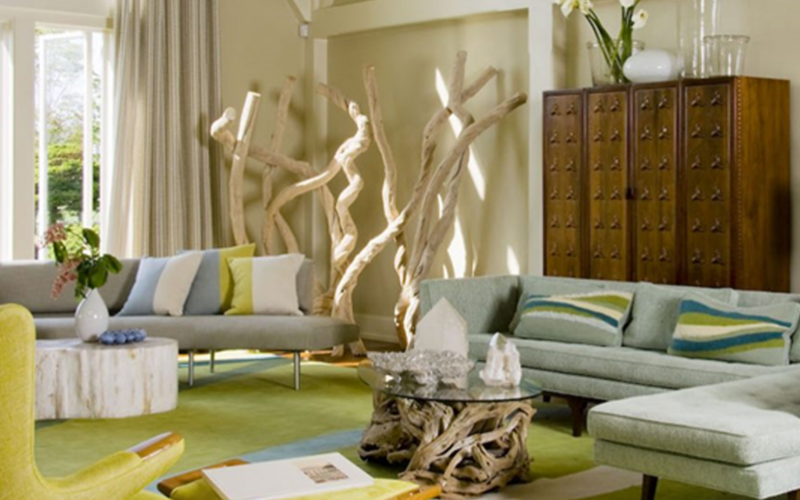 This living room is almost a work of art in and of itself. Furniture in monochrome with plenty of natural color in the floor and greenery, it boasts plenty of space between pieces and a pleasing symmetry. Minimalism in this kitchen looks like plenty of space between work zones and flush-mounted ovens and cooktop. 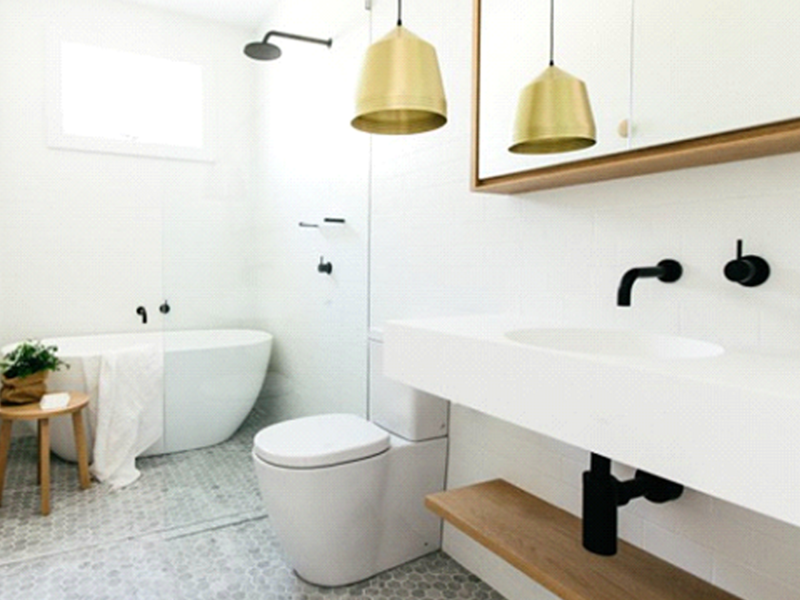 Fixtures at the sink are clean and sleek, and unnecessary knobs and handles are absent from the cabinetry. Food and flowers brighten the space. 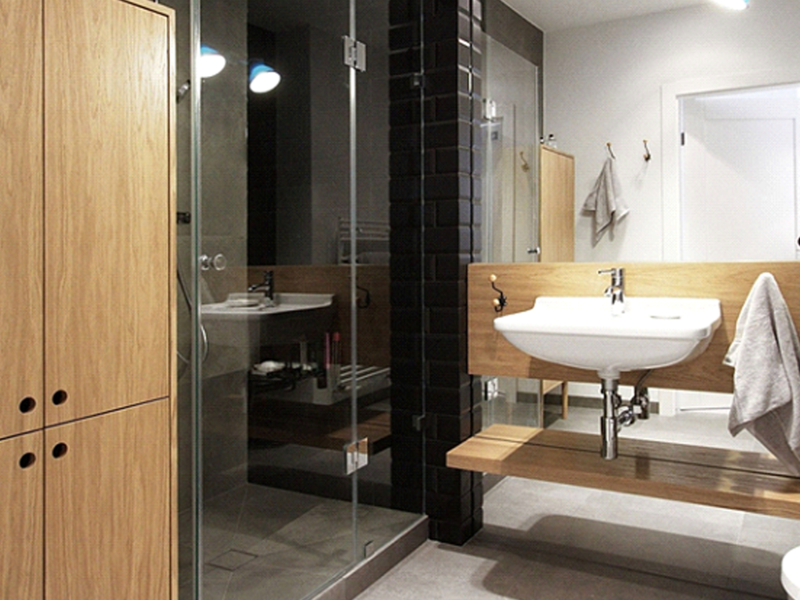 Clear glass on the shower and a wall-mounted vanity keep an open, airy feel in this bathroom. Fixtures, both chrome and porcelain, are simple and unadorned, with some natural greenery for a splash of color. 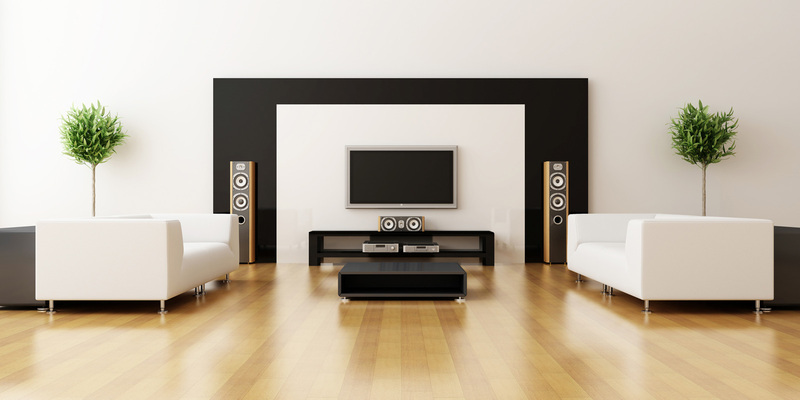 What does minimalism look like in your home?